Heat oven to 350°F. Generously spray 16 regular-size muffin cups with cooking spray. In small bowl, mix granulated sugar and 1/4 teaspoon cinnamon. Separate dough into 8 biscuits. Separate each biscuit into 2 layers to make 16 biscuit rounds. Place 1 biscuit round in each sprayed muffin cup, pressing dough all the way up sides of cups. Brush insides of biscuits with melted butter; sprinkle with cinnamon sugar. 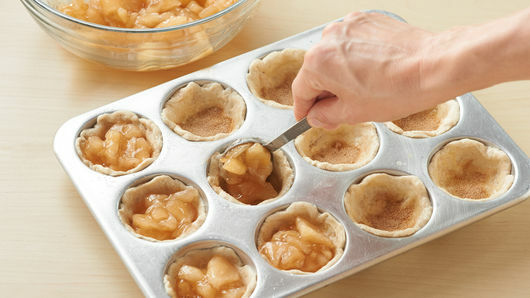 In small bowl, add apple pie filling; cut apples into 1-inch pieces with kitchen scissors. 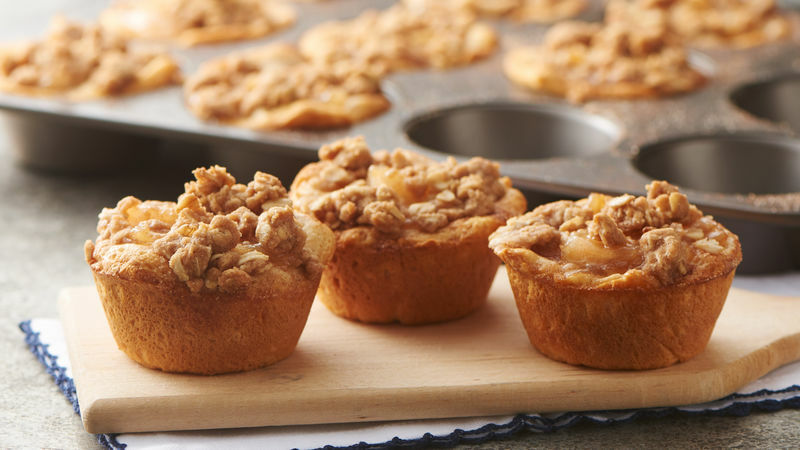 Place heaping tablespoons of apple pie filling inside biscuit cups. Cups will be full. 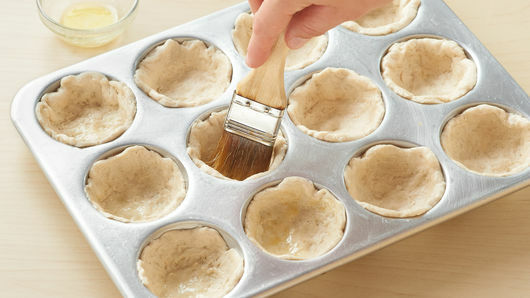 In small bowl, mix Topping ingredients with fork or pastry blender until crumbly. Sprinkle over apple pie filling. Bake 20 to 23 minutes or until biscuits are deep golden brown and filling is bubbling. Cool 5 minutes; loosen edges with metal spatula or knife, and remove from pan to serve. Serve warm with whipped topping. Pressing biscuit dough up sides will help filling stay contained inside muffin cups and help avoid bubbling up over tops. For a nutty crunch, stir 1 to 2 tablespoons chopped pecans into topping.